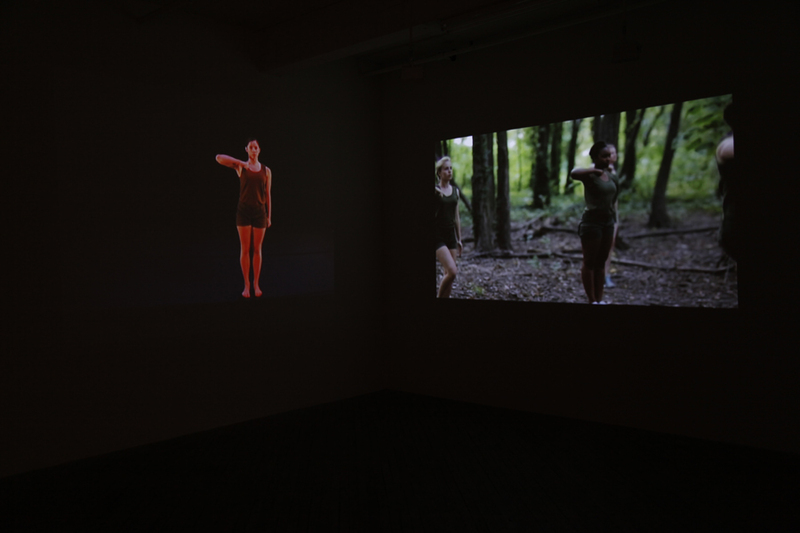 Posse Comitatus is an ongoing collaboration between Mark Tribe and Chelsea Knight, two artists whose work explores the intersection of performance and politics. 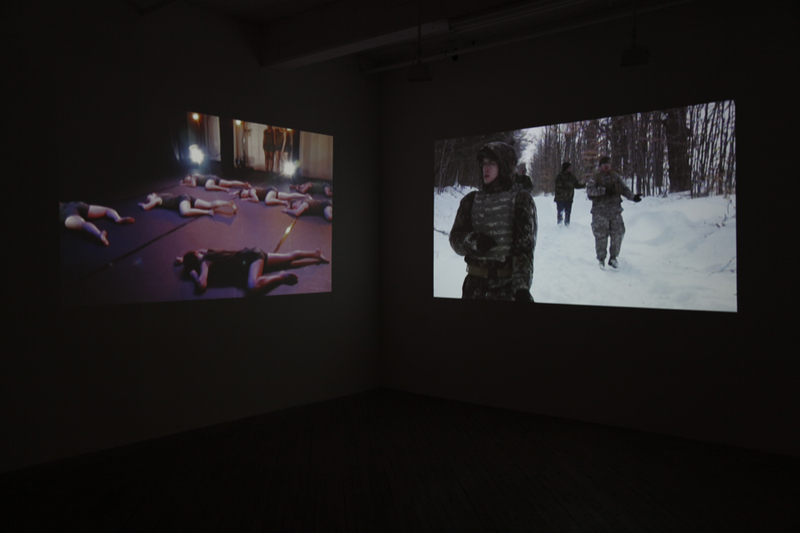 In 2011 Knight and Tribe set out to investigate the American militia movement, a wide network of paramilitary groups that arose in the United States the 1990s, organized around ideologies of survivalism and political extremism. Knight and Tribe developed a relationship with a militia group in Upstate New York that focused in particular on preparedness in the event of a government breakdown. 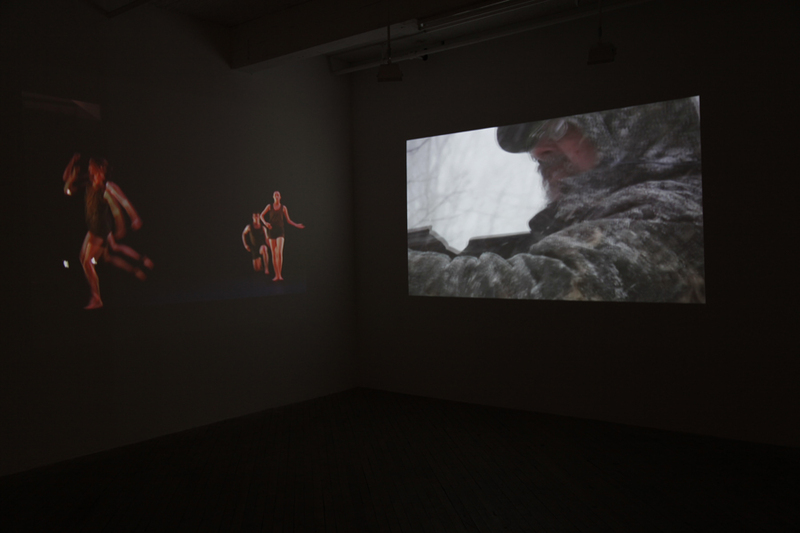 The group, consisting of ex-army soldiers and gun enthusiasts, allowed the artists to film their training exercises, tactical drills and paramilitary maneuvers. 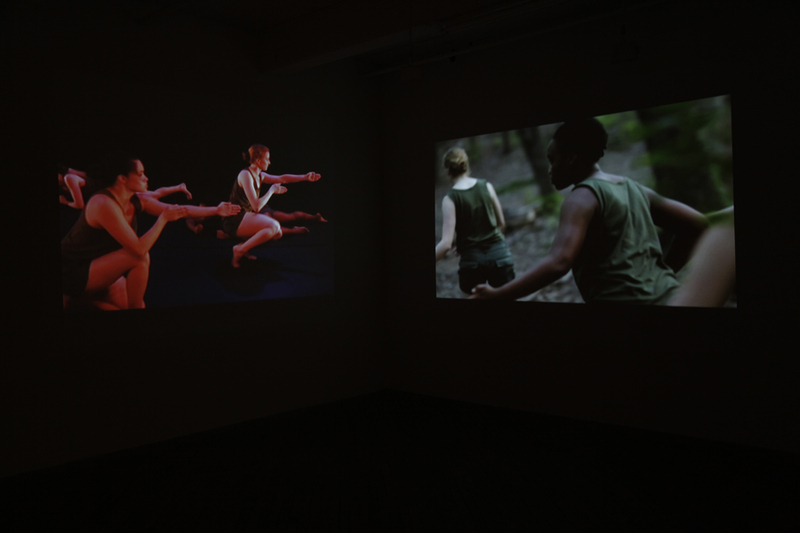 The artists then worked with a choreographer in St. Louis to create a dance performance in September 2012 based on their militia footage. Posse Comitatus is a Latin term that means “force of the county.” Historically, the term has been used to refer to the common law authority of a county sheriff to summon a group of citizens (a “posse”) to enforce the law. In the context of the contemporary militia movement, it conveys to the idea that citizens have an inalienable right to defend themselves against tyranny, even if that means taking up arms against the state. Chelsea Knight was born in Vermont and lives and works in New York. She received her B.A. from Oberlin College and her M.F.A. from the School of the Art Institute of Chicago. Knight recently completed residencies at the Whitney Independent Study Program and the Skowhegan School of Painting and Sculpture, and was a 2007 Fulbright Fellow in Italy. She was a 2010-2011 resident at the Lower Manhattan Cultural Council Workspace program and a 2012 resident at Triangle Arts Association in Dumbo, Brooklyn. Solo exhibitions include: The St. Louis Art Museum, Abrons Art Center, New York, Momenta Art, Brooklyn, Night Gallery, Los Angeles, Julius Caesar Gallery, Chicago, The University of Syracuse, and upcoming at Aspect Ratio Projects in Chicago. 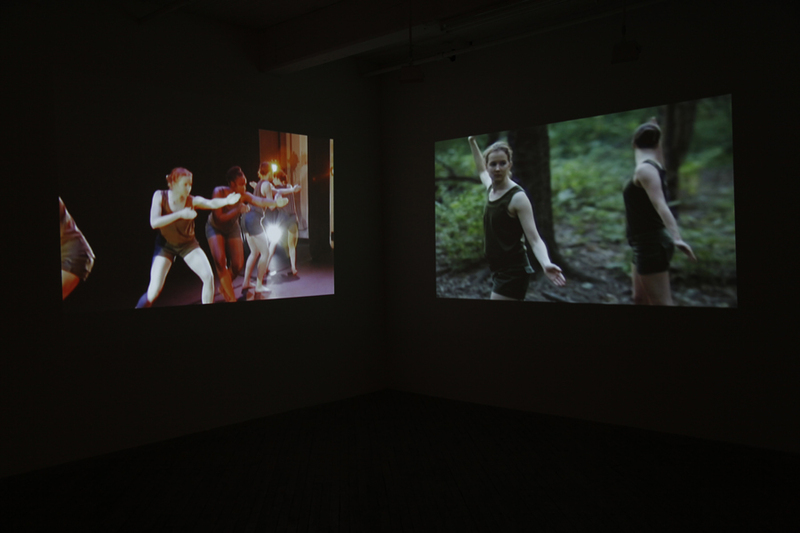 Knight has exhibited and screened her work in group shows including Anti-Etablishment at Bard CCS Hessel Museum, the Young Artists’ Biennial, Bucharest, the 10th Annual Istanbul Biennial, Werkschauhalle Gallery, Leipzig, the Palais de Tokyo, the Michelangelo Pistoletto Foundation, Biella, Italy, Harvard University, Art in General and the Kitchen, NY. She was a Henry L. and Natalie E. Freund Fellow at the Sam Fox Graduate School of Art, Washington University in St. Louis in 2011-2012.